Elena Koleva is a versatile singer and creative teacher working in various music styles such as Jazz, R&B, Eastern-European folklore and American pop-music. 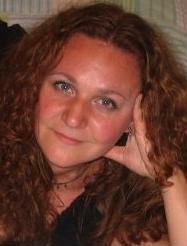 Elena has 14 years of teaching experience based on her original method “Vocal Techniques And Improvisation”. She teaches voice, piano and music theory and loves to organize performances for her students. She is truly inspiring and a great role model for a new generation of singers. Elena has appeared as a soloist of the National Radio Big Band, Sofia, Bulgaria, The Whites Greens And Reds jazz band and the Acoustic Version trio. She has also participated in established jazz festivals, TV shows and theater performances in Europe and the United States. Elena has released two solo albums with the Acoustic Version Trio–Round Midnight (1995) and Invisible Touch (1998). She holds a Master’s Degree in Voice Performance from the Bulgarian State Academy and taught voice and improvisation at New Bulgarian University for 6 years (1995 through 2001). In 2001 Elena moved to Boston, MA and shortly after that recorded her next project with the Cari Peno Jazztet. The jazz singer had the opportunity to work with some of the greatest jazz musicians in Boston and NY City, including Mike Tucker, Kendall Eddy, Steve Langone, Bob Moses, Gene Perla, Dave Buda, Plamen Karadonev, Bruce Gertz and many others. In 2002, Elena was invited from the members of Lincoln Jazz Orchestra, NY to sing on a jam session in Roxbury, MA as part of Boston Jazz Fest series and received a most welcoming response from the band members and local audience. Her deep, velvety voice, in combination with an exotic stage appearance, made her highly desirable and appreciated jazz performer on the jazz scene in Boston. In 2004, Elena graduated from Quincy College, MA with a major in Fine Arts. She is a passionate admirer of painting and photography, which are the areas in which the singer finds her escape from music. In 2005, the jazz singer received a scholarship from New England Conservatory and a chance to study with outstanding musicians such as Jerry Bergonzi, Bob Moses,Charlie Benacos, George Garzone, and Dominique Eade. Elena graduated from New England Conservatory in 2007 with Honors, holding a Master’s Degree in Jazz Studies and Improvisation/Voice performance. Her latest project is her participation in Crossing Lines (2008), a debut album of jazz pianist Plamen Karadonev, also featuring Hal Crook, George Garzone, Lee Fish, Kendall Eddy and Austin McMahon. She has been touring with this project all around Boston area and NY City, in venues such as the Berklee Performance Center, The Blue Note, and many others.